At this past weekend’s Chicago Comic & Entertainment Expo, Marvel had a lot of announcements to make. However, Absolute Carnage and the House of X/Powers of X were just the tip of the iceberg. C2E2 was used as the platform to reveal several new comic projects that will hit in 2019 and beyond. 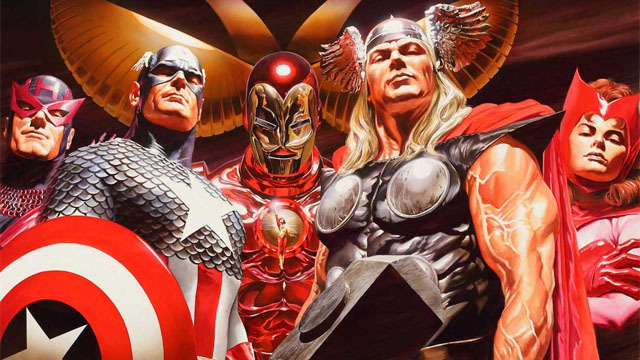 Perhaps the biggest announcement was that Kurt Busiek and artist Alex Ross will reunite for a new Marvels one-shot. That story will also celebrate the 25th anniversary of Busiek and Ross’ Marvels miniseries; which explored the Marvel Universe’s early days from the perspective of an ordinary reporter named Phil Sheldon. Like the original Marvels, the new story will also feature Ross’ fully painted artwork. There’s no release date for the issue, but Marvel noted that it will be included in future editions of Marvels. The Marvels story isn’t the only project revisiting the company’s past. Mark Waid and artists Javier Rodriguez & Alvaro Lopez are also joining forces for a six-issue miniseries called The History of the Marvel Universe. That story will bring readers up to speed on all of the major events to date. Steve McNiven is the cover artist for the series, but it doesn’t have a release date yet. Current Asgardians of the Galaxy star, Valkyrie, is also set to get her own series. Long time Thor scribe Jason Aaron and Al Ewing will co-write the Valkyrie series, which will spin out of War of the Realms. The final announcement of C2E2 is that Tini Howard and Kei Zama are working on a Death’s Head miniseries. The title character is a robotic bounty hunter whose early appearances included Marvel’s Transformers UK stories. For the new miniseries, Death’s Head is teaming up with the Young Avengers’ Wiccan and Hulkling. The first issue of the miniseries will hit comic book stores this year. Which Marvel project caught your eye at C2E2? Let us know in the comment section below!